I have a very special treat for you coming straight from Greek islands. 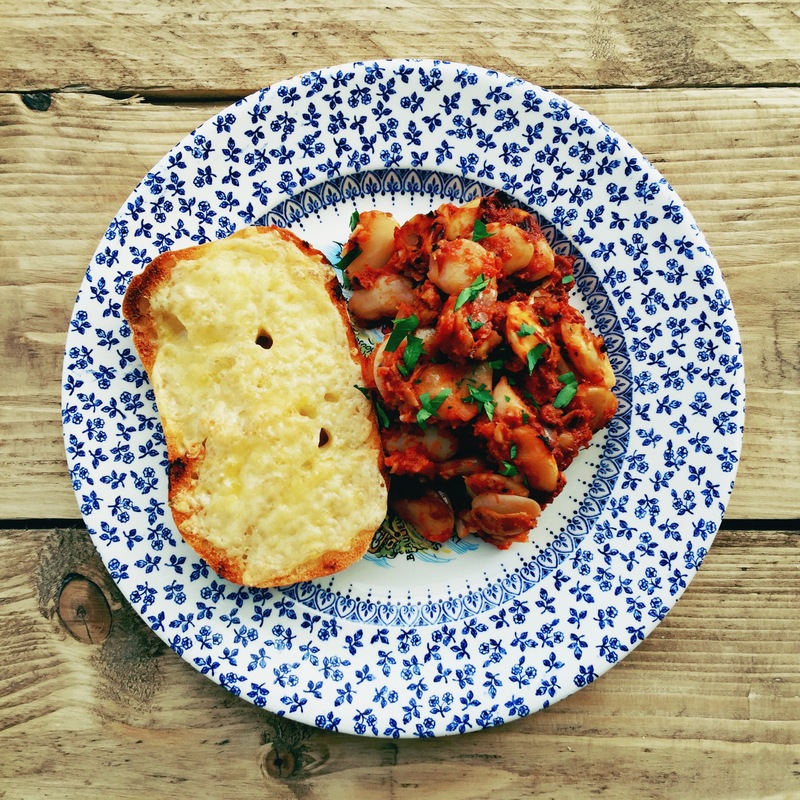 If you’re a fan of baked beans this very simple lunch recipe is perfect for you to eat at home or even take to work. The fist time I have tried it was about 2 years ago why my Greek housemates mum visited us and cooked almost every day!!! The original recipe uses giant beans that I have not seen anywhere in the shops in UK so I decided to swap them for butter beans. 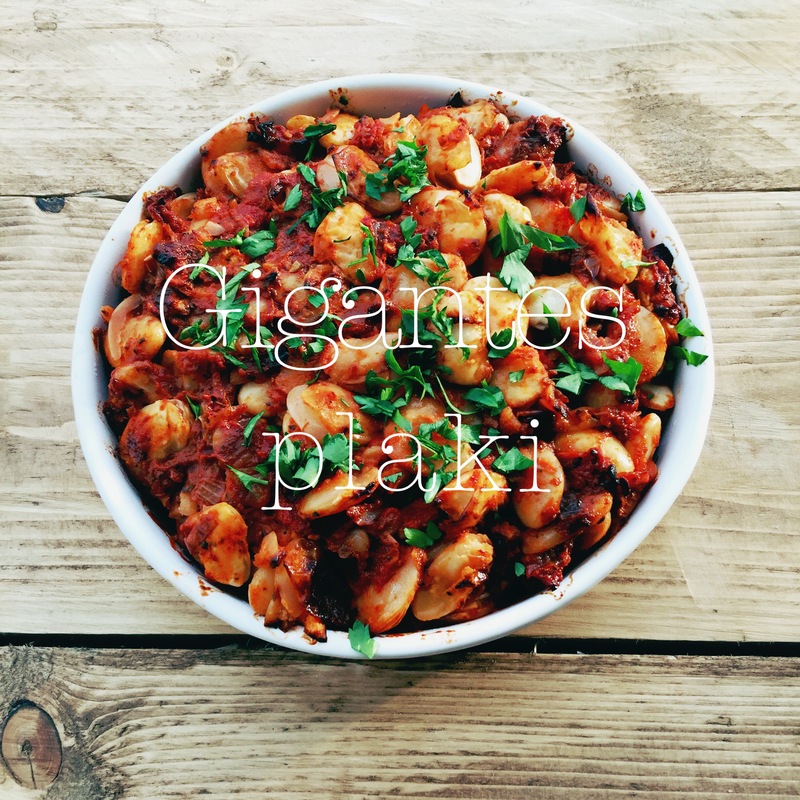 Gigantes plaki makes a perfect side dish to meat like for example lamb shank or could be served as light lunch accompanied by cheese toasty and maybe poached eggs. 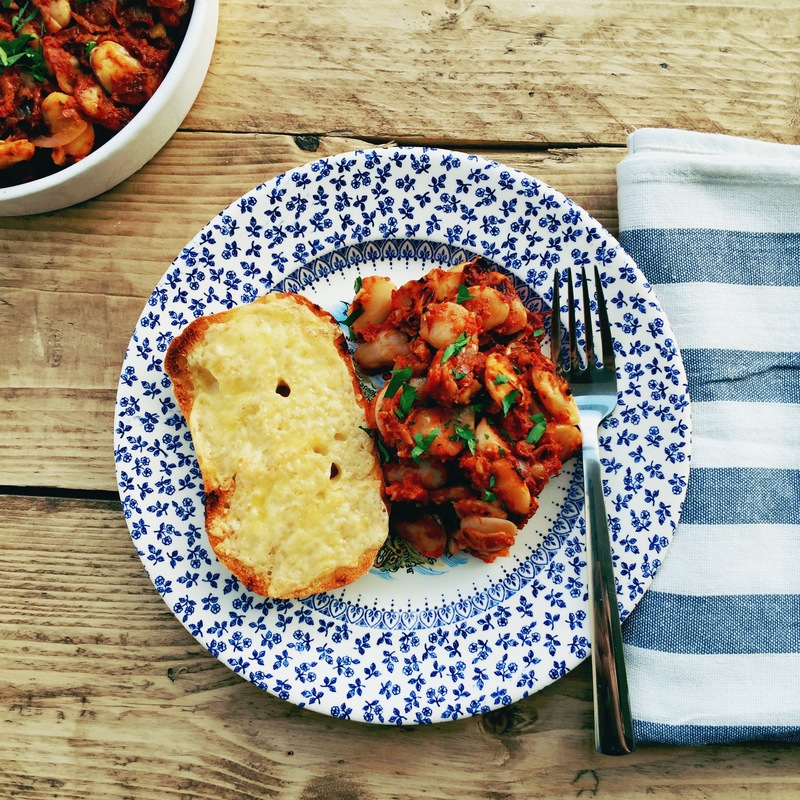 I very often make it a little bit more substantial for an evening meal by adding some pan fried smoked sausage or cherizo if I want it a little more special. 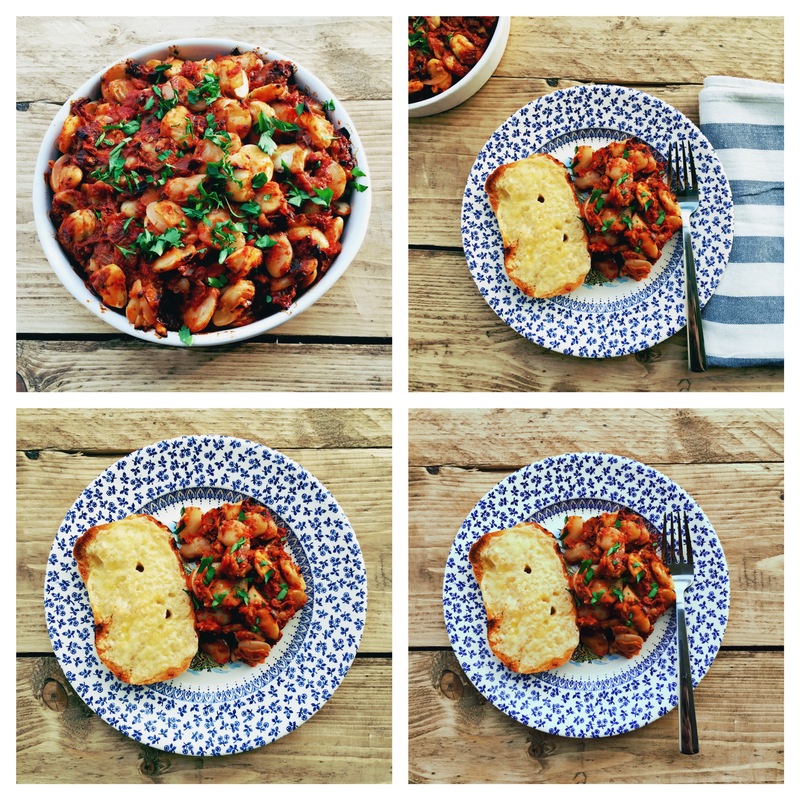 This dish combines the tenderness of beans with acidity and richness of tomato sauce. 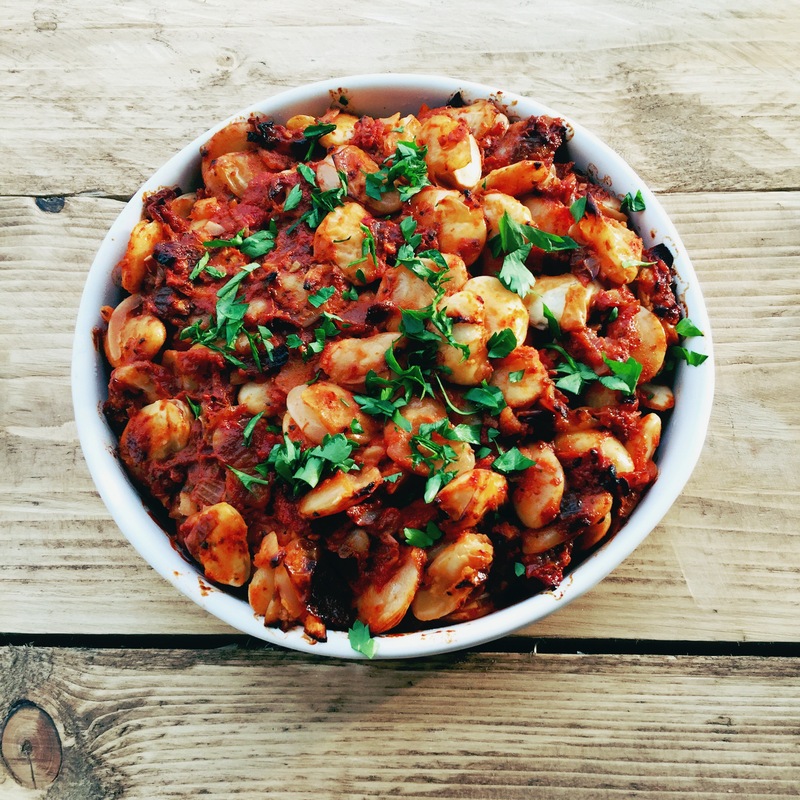 The Greeks serve it with a drizzle of extra virgin olive oil that really enchances the flavours of all ingredients. In terms of nutrition this is a very healthy dish that delivers a lot fiber and ofcours protein. It’s very simple to make and I’m am sure you will fall in love with it. Cover the beans with planty of water and soak overnight. Drain, rinse carefully and place in the pan covered filled with water. Bring to boil and simmer on a medium heat for 30 minutes. You want the Beene to be still tender not fully cooked. Drain and set aside. In a frying pan heat 2 tablespoons of olive oil and fry the onion and garlic. When you notice that onion starts to soften add smoked paprika and chopped tomatoes. Cook for about 10 minutes then add the balsamic vinegar, tomato purée and oregano let it simmer for another 5 minutes. 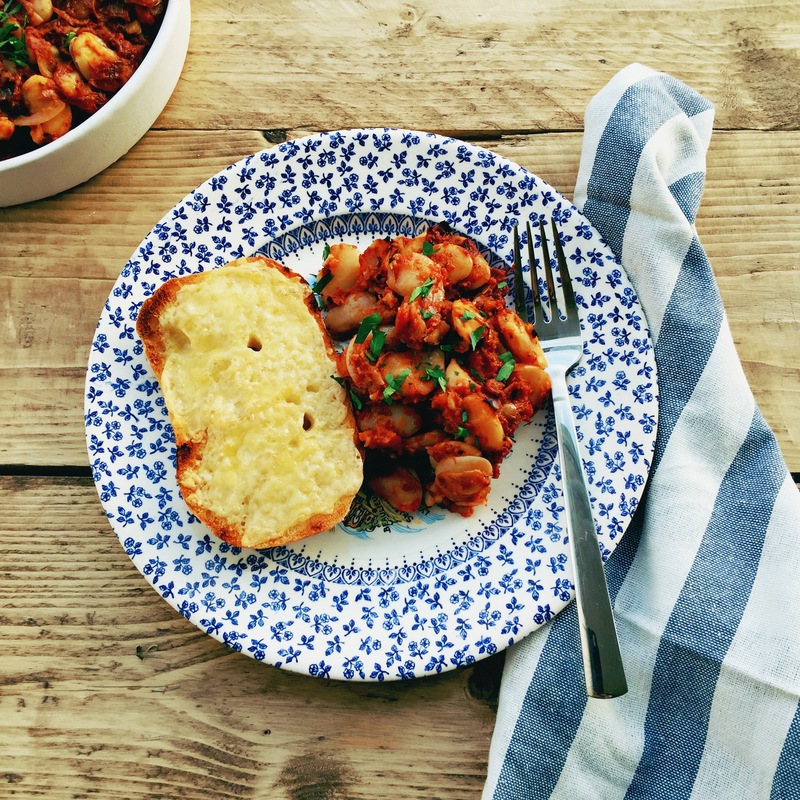 Heat the oven to 180 C. Mix beans and sauce together and place in an heatproof dish. Bake in the oven for approx 1 hour without stearing. The top will become nice and crispy and the beans will absorb the reminding tomato sauce. Add chopped parsley and drizzle with olive oil before serving. Thanks it’s really easy to make too!!! Just made this and really enjoyed it. Thanks for the new addition to our cooking repertoire! Thanks for trying it out!!! I’m glad you enjoyed it!! !